VW Group sales fall nearly 1% in July on lower demand in Europe, U.S.
FRANKFURT -- Volkswagen Group's global sales fell 0.6 percent in July as volume gains in China failed to offset drops in Europe and the U.S. The 12-brand group's deliveries last month were 787,300 last month, the company said in a statement on Friday. Among the group's brands, the core VW marque saw its July sales decrease by 1.8 percent in July, the sixth consecutive month of declining demand. The brand is bearing the brunt of VW Group's emissions-rigging scandal. 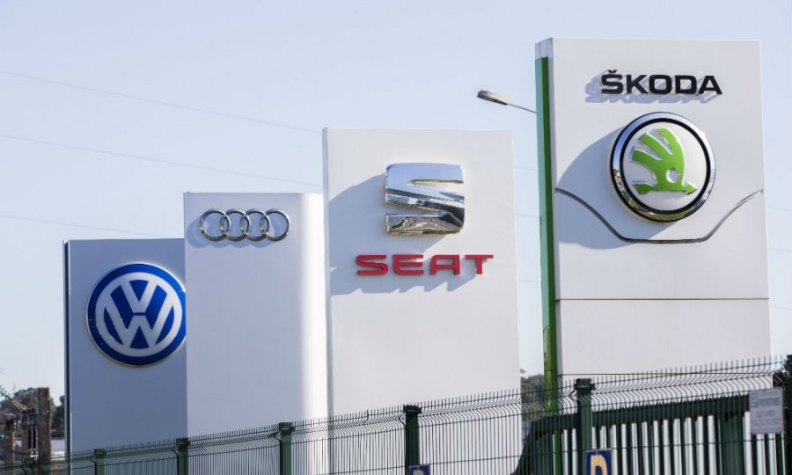 Audi, Skoda and Seat brands all showed gains in July. Audi's global sales increased 2.3 percent and Skoda's volume grew by 1.0 percent, while Seat's deliveries rose slightly by 0.2 percent. Porsche volume was down 6.3 percent. VW Group's volume rose by 16 percent in China, the company's biggest market, but other major markets suffered losses. In Europe, sales fell 4.7 percent, while in the U.S., deliveries dropped 5.1 percent. Brazil sales were down 30 percent. Through July, the group's deliveries are up 1.3 percent to 5.9 million.